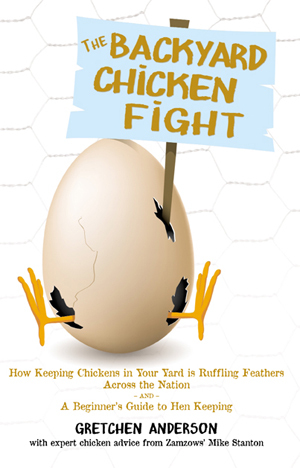 The Backyard Chicken Fight - How Keeping Chickens in Your Yard I Ruffling Feathers Across the Nation and A Beginner's Guide to Hen Keeping is the book you need if you want to raise chickens. Author Gretchen Anderson chronicles the stories of people who are fighting City Hall for the right to won chickens at home. Also, she explains how to raise a healthy flock of free-range chickens in your own backyard. With the growing emphasis on the importance of buying local, organic food, why not do it yourself?